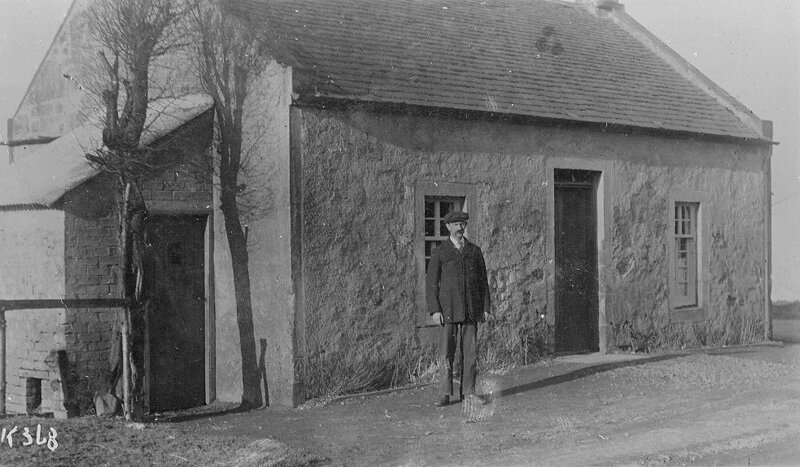 My Lyle, Willie's grandfather at his cottage at Mauchline Hilltop. The house sat right on the corner at the turn off to the minor road, (a popular circular walk for Mauchline residents, up the hill top and out at the Burns Monument/ water tank). Anyone walking there to this day, if they look carefully, can find the ruins of the back wall right at the edge of the field.